When deciding to go with natural stone countertops in your kitchen, selecting the right material is obviously going to be one of the first steps. 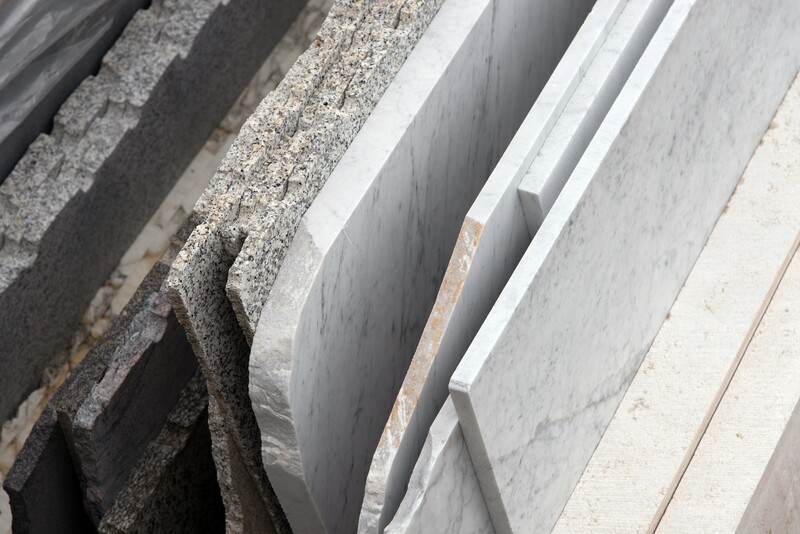 Between marble, granite, quartz, travertine, and so on, there are a wide variety of natural options to pick from, each of them coming with their own list of pros and cons. For now, we’ll focus on marble as your countertop material, and will explore all the positives and negatives associated with choosing it. The primary reason people opt for marble installation, whether it’s for their kitchen or bathroom countertops, is simply because marble can create an eye-catching focal point in any room. Obviously a unique or rarer color, and more pronounced veining, will drive the cost of various marbles up. However, there’s no debating how stunning the right piece of marble can be. Additionally, it’s not hard to find a style of marble that complements whatever other design elements are at play, and that versatility and neutrality is another motivating factor when people choose to go with marble. While it’s not recommended to leave hot pots and pans directly on marble counters, it’s technically something that could be done thanks to the heat-resistant nature of marble. That said, it would take constant and seemingly intentional efforts to mar its surface with heat or fire. Now while you probably won’t want to cook on marble, as you can with granite, marble still holds up incredibly well to heat and hot items. Still, use trivets for your hot pots and pans, regardless of what surface your countertop is. Now saying marble is soft might be confusing since we’re talking about stone here, but as it relates to natural stone, marble is soft. It is also porous, and these two qualities are the primary negatives associated with marble. Acids, such as tomato or lemon juice, can do serious harm to marble countertops if allowed to sit. Wine has been known to stain marble, and belt buckles or clunky jewelry can leave scratches or chips wherever they make contact. Regularly cleaning, polishing, and sealing are highly recommended practices to help counter these two primary weaknesses of marble, but that won’t stop physical damage due to negligence or obliviousness. Expanding on the porous nature of marble, that negative quality factors heavily into one of the other cons relevant to marble: staining. If marble is not regularly or properly maintained, or if the homeowner is lazy, it might be best to hone the marble rather than worry about routine polishing and sealing. Honed marble will produce more of a matte look to the marble, minimizing the shine most seek out, but it will also make stains and scratches less apparent to the naked eye. Nevertheless, even honed marble will need to be sealed at least every six months, mostly to negate the impact of allowing a porous stone to be exposed to various liquids and ingredients over an extended period of time. The common misconception about marble is that it is a high-end building material. In some cases, yes, that is certainly true, but simpler and more common marbles are not beyond the reach of most home owners. However, there is severe overlap between the reason marble is attractive and the reason marble can be expensive, and that is the quality and extent of the veining on a particular slab. This quality is ultimately the biggest draw to marble as it is what sets marble apart from many of the natural stone options. So if a person is looking for that perfect piece of marble with pronounced veining, they’re going to spend a little more than the person who just wants a simple slab of marble to class up their kitchen or bathroom. When it comes down to it, marble is still a quality material to utilize in any home improvement project that would benefit from a transitional or contemporary feel. The negative qualities of marble are easily countered by a little due diligence and elbow grease, and the positives make that extra effort more than worth it. After all, who doesn’t like having their design choices complimented by guests to their home? And with a nice slab of marble sitting prominently in your kitchen, those compliments will certainly be commonplace.